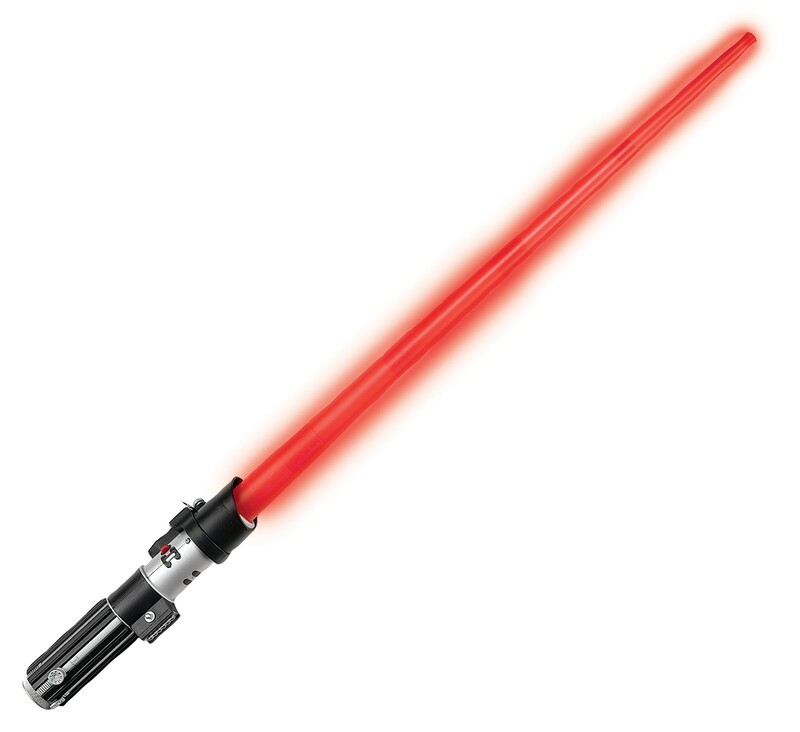 Complete Darth Vader's look with this fantastic red lightsaber! The infamous weapon that killed Obi-Wan Kenobi and cut off Luke Skywalker's hand. Includes one red extendable lightsaber. Requires 3 AAA battires, not included. Sturdy injection moulded handle with plastic, light up, telescopic blade. Extends to over 3ft long! This is a terrific lightsaber and and birthday boy was really excited. Much better than those available in toy stores. Not only did the product arrive well in advance of the date i was given, but it was also a lot better quality than the ones I was looking at in toy shops etc. I couldn't have received the lightsaber any quicker, very impressed. Unfortunately my light stopped working in after after a few seconds of turning it on and they advised they will post a new one out today.